If there are kids involved, odds are you’ve got real eggs, plastic eggs, and candy on hand. We don’t want you to have to reinvent the wheel. Here are some suggestions for decorations using what you might already have. This cute egg garland is the rug that ties the room together. Weave it along the table, through the desserts and decor, and you’ve easily got a theme. We found two step by step egg garland how-tos that really stand out. Kelly Elko crafts her garland with plastic eggs from the grocery story and two long strands of colorful twine. Not only is it festive and affordable, you can use it over and over again. Follow Kelly’s steps here. If you’ve got a bit more time on your hands and those hands happen to be gentle enough for this real egg garland, give Martha Stewart’s a try. Follow Martha’s steps here. The candy that you intend to use - outside of the easter egg hunt, of course - can double as decor. For our table, we’ve filled tall apothecary jars with yellow gumballs and matching yellow jelly beans. While separating the candy by color can make an elegant statement, a colorful mix will work just as well. It’s all about your personal preference. 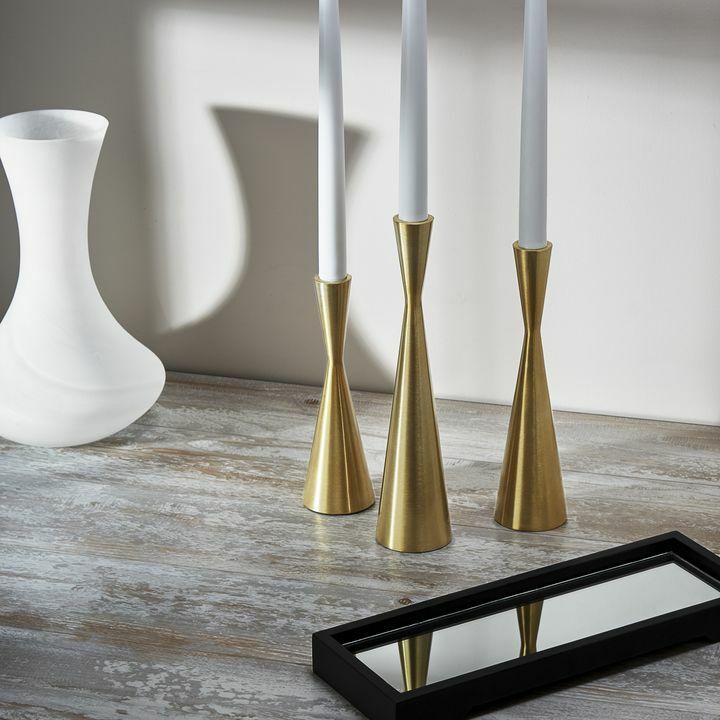 While we used vases, decorative bowls and glasses are a great alternative. For more candy as decor ideas, visit our pinterest page. 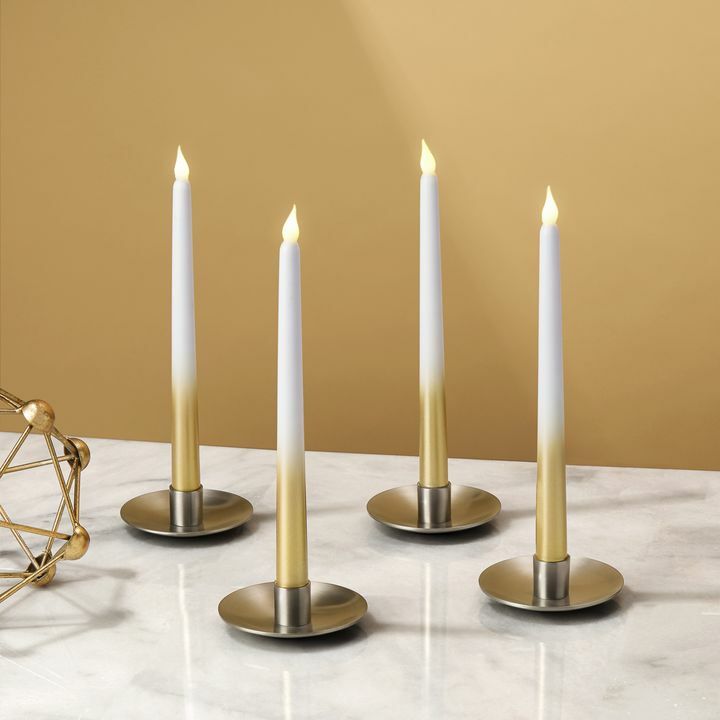 We love a good candle for tablescapes. 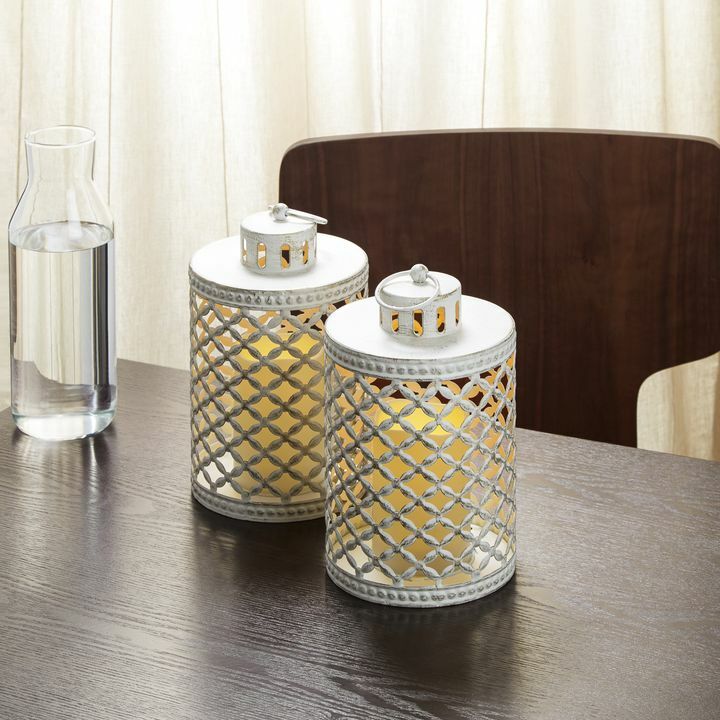 They’re a warm decorative addition that offers an inviting ambiance for you and your guests. 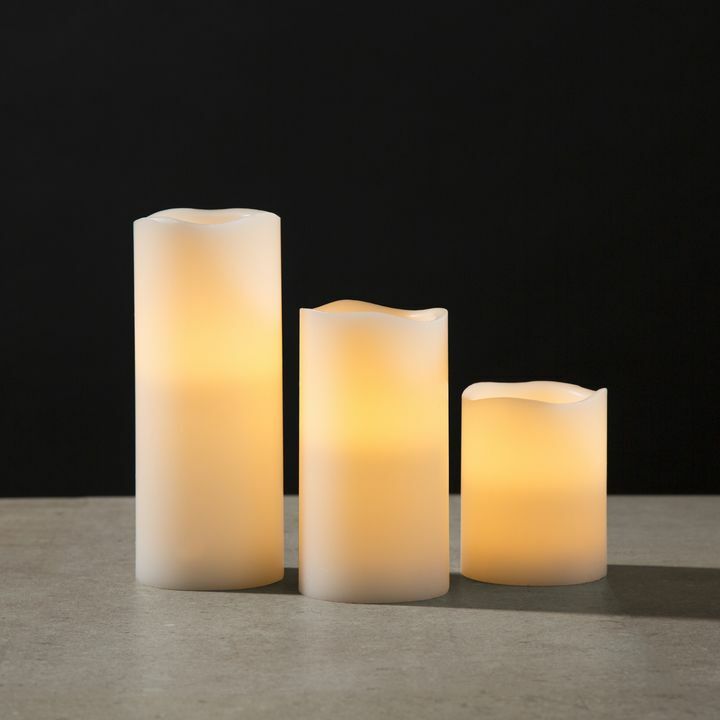 We always recommend that you select candles of various heights when arranging candles. 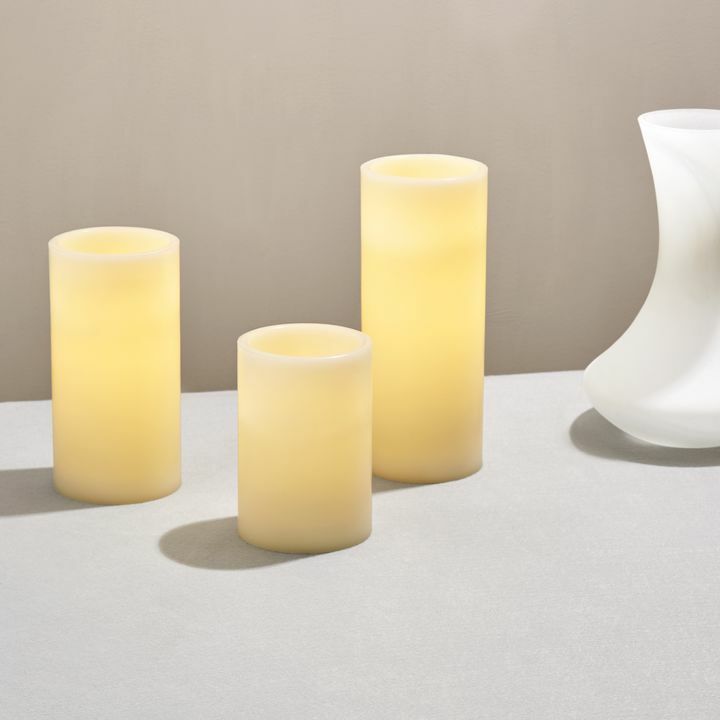 The different heights draw the eye in different directions creating a dynamic, balanced centerpiece. 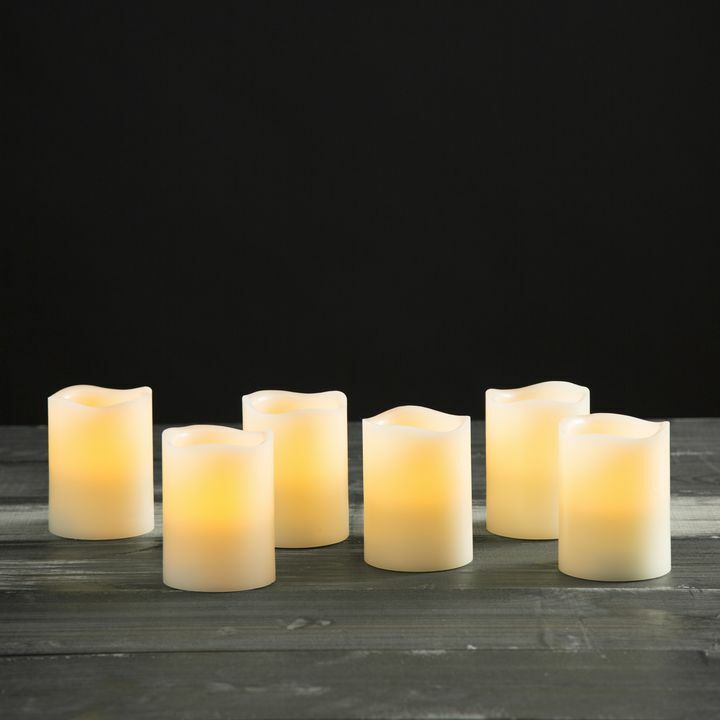 For our table, we used a mixture of tea lights, elegant cream tapers, and a few prominent pillar candles. 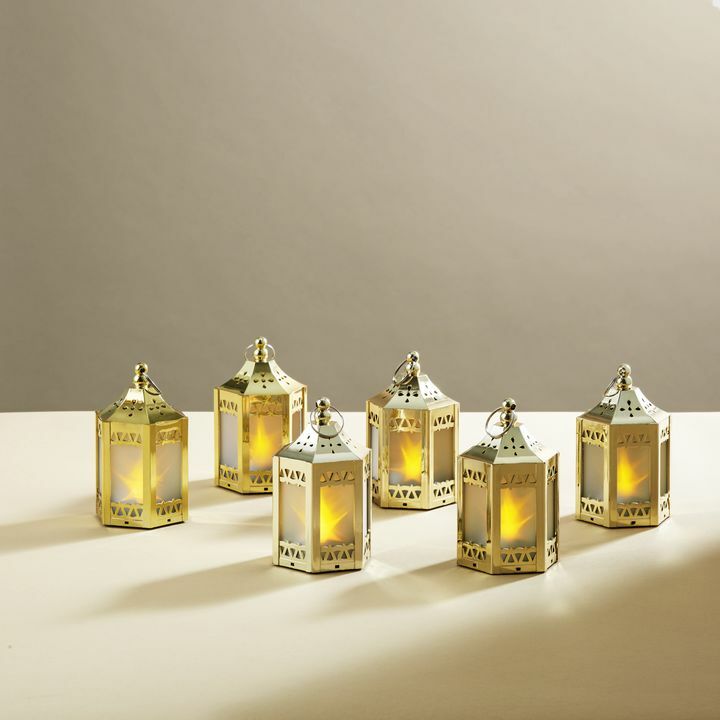 For good measure, we added a few lanterns, too. 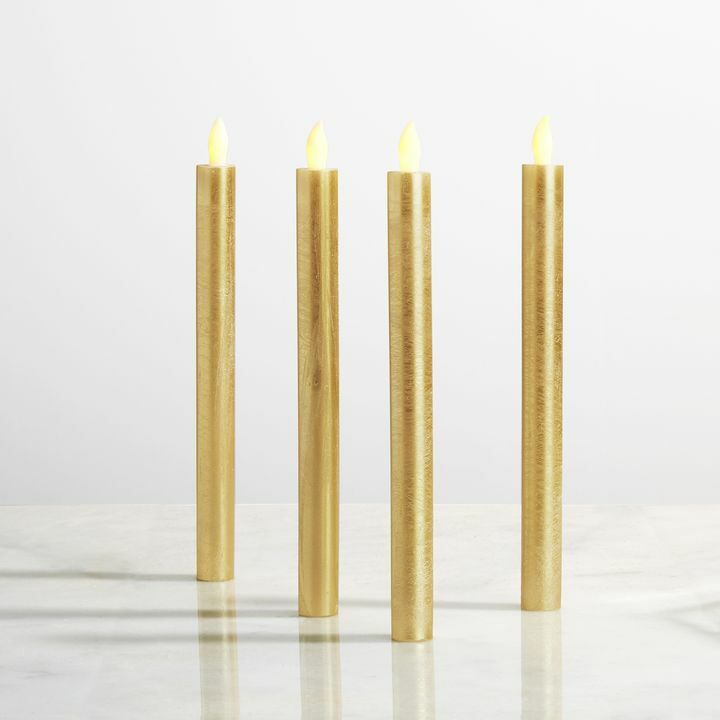 We opted for white and gold candles and candle holders. 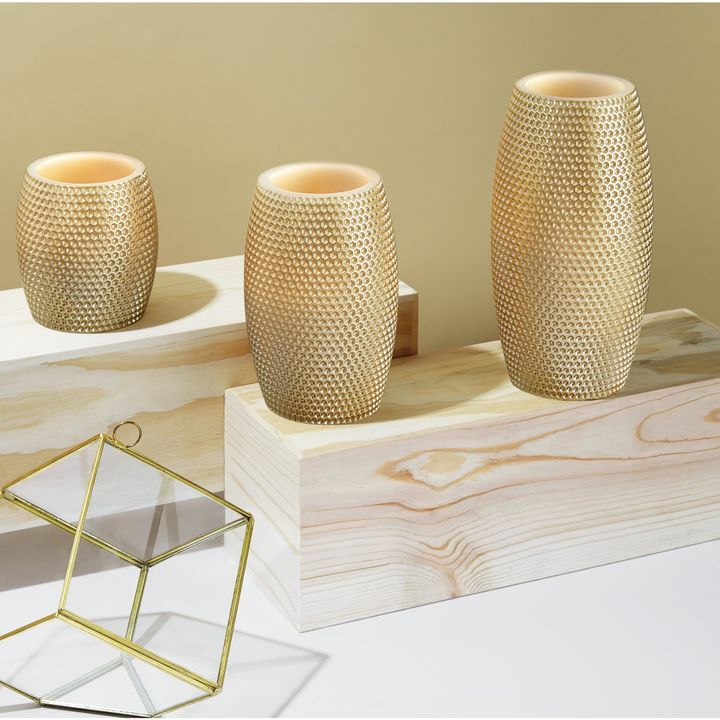 Gold makes a great neutral - its suited for nearly all occasions and is a lively alternative. Part of the fun of decorating at this time of year is the newly available blooms. 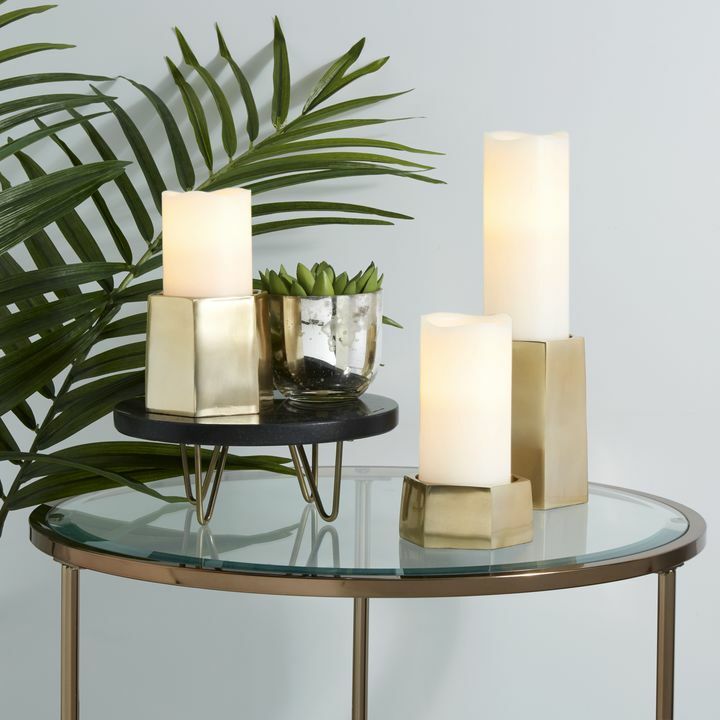 While we went with an all-white flower palette of tulips and anemones, spruce up the table with some of your favorites in your favorite spring colors. Some of the flowers that will be readily available in April and May are hydrangeas, tulips, daffodils, and crocuses. If you’re lucky you may even be able to get some full, pink and white peonies this early. 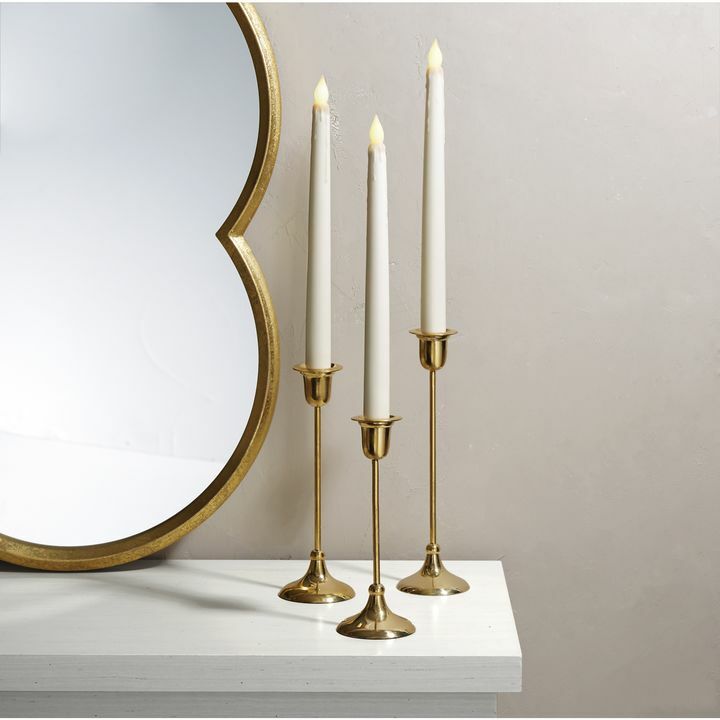 Like the candles, an array of heights helps to make your arrangement dynamic. Try placing the flowers in glass vases and jars both big and small. Looking for an alternative to dozens of cut flowers? Large, cut greenery makes a vibrant, yet affordable addition. 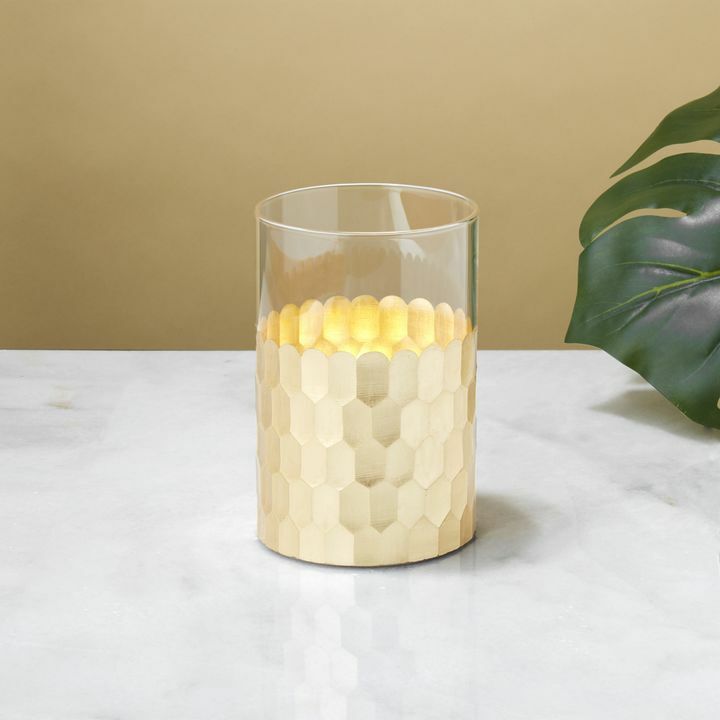 In our vases, we used large, waxy monstera leaves, but any large leaf will do. 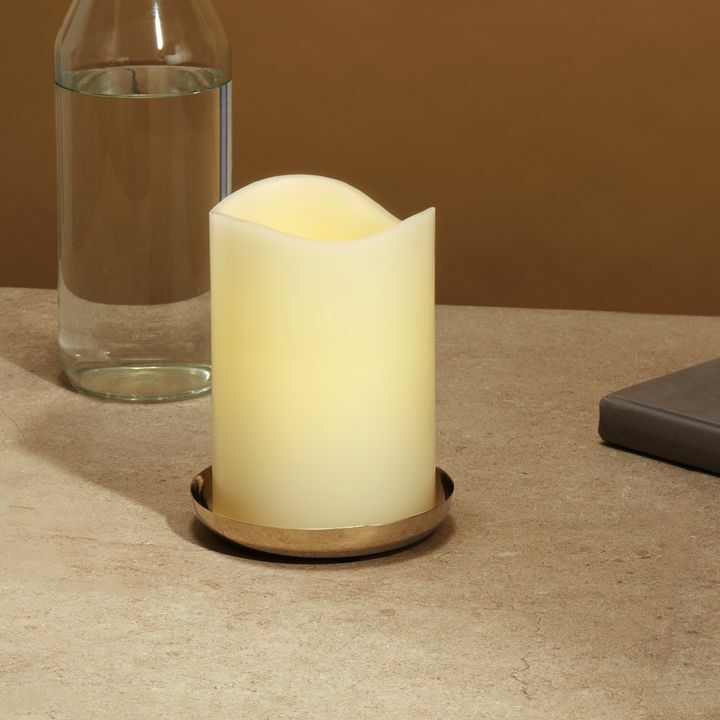 If you have flameless candles - necessary here if left unattended - you can also craft a nice little ring with sprigs of greenery around the base for a fresh, spring-like touch. While 10 inches of snow falls outside our windows, here at Lights, weâ€™re dreaming of not-so-far-away spring. 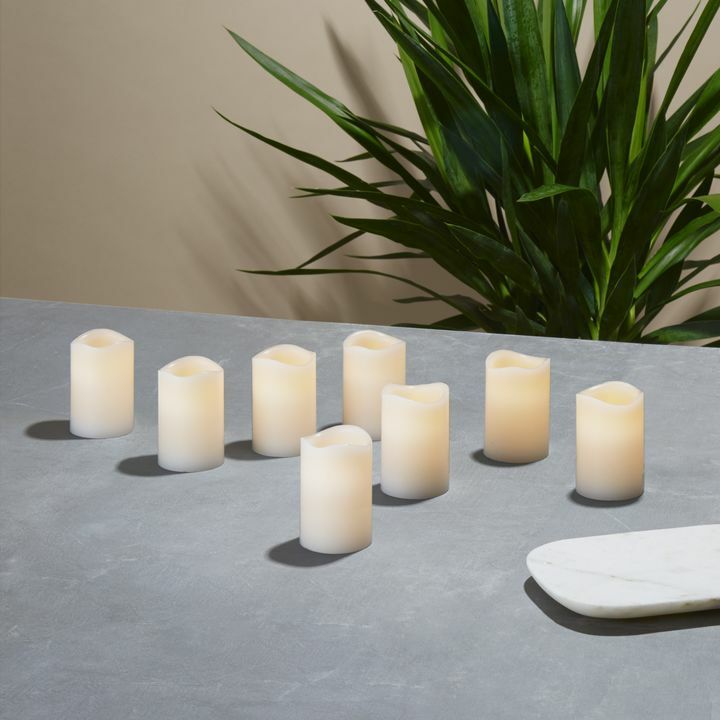 To celebrate the much anticipated season, weâ€™ve set the table with fresh-cut flowers and some brand new favorites. 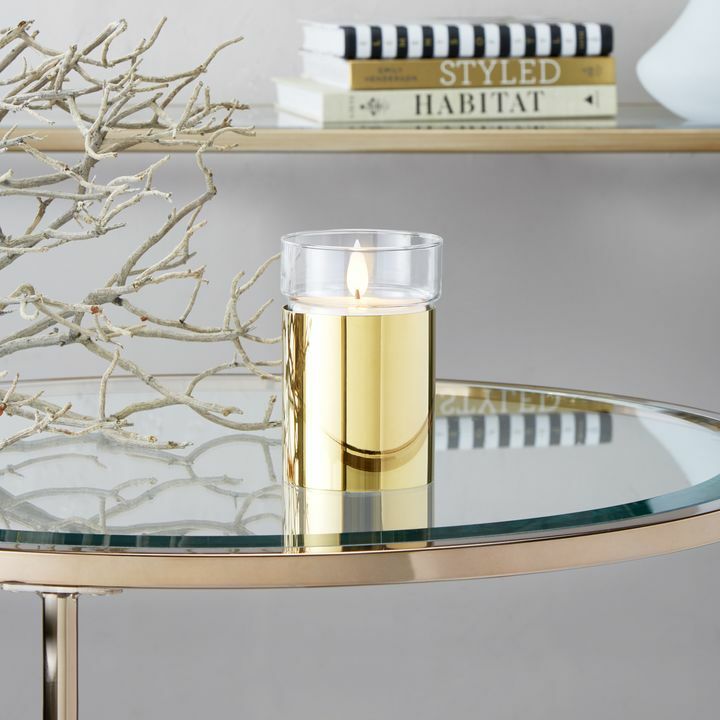 Spruce up your home with golden, shimmering accents for a touch of timeless luxury. 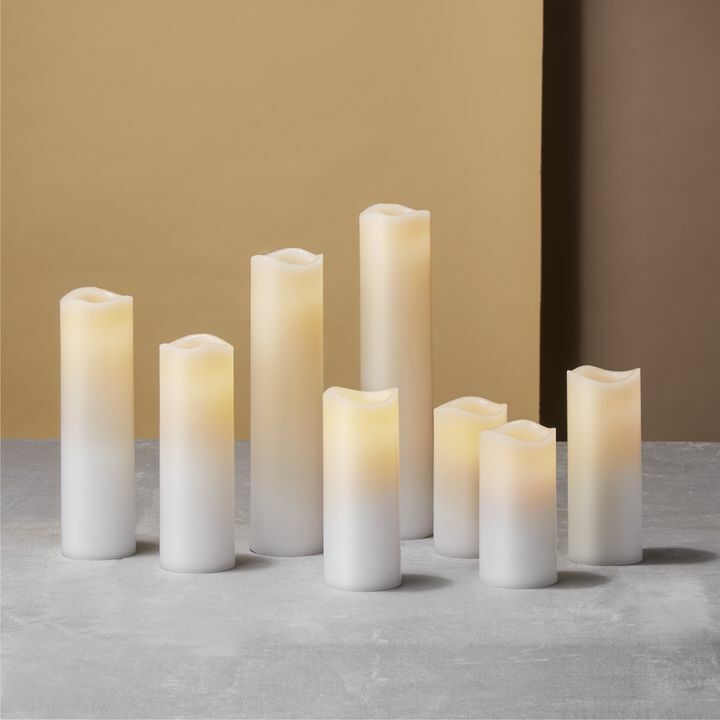 From bold and geometric to romantic and distressed, our collection of candles has a texture to suit every style.